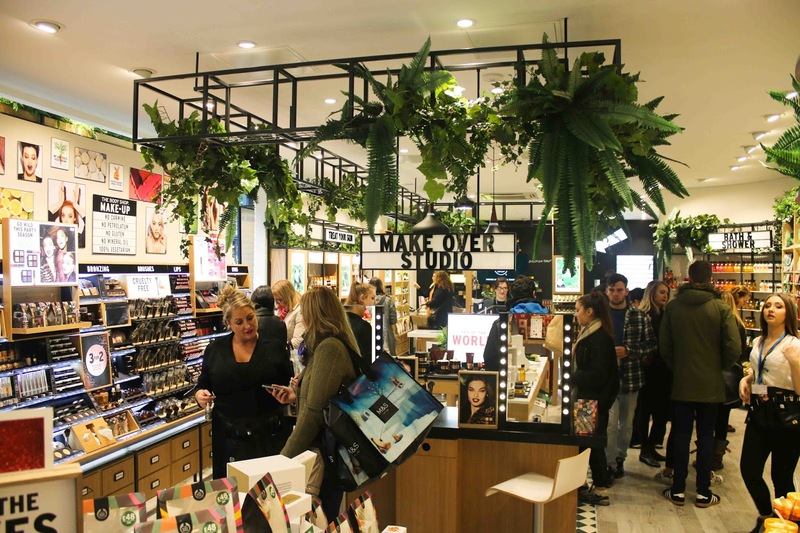 We were told all about the new store concept and how Leeds is the first store in the whole of the UK to receive the tropical jungle make over. 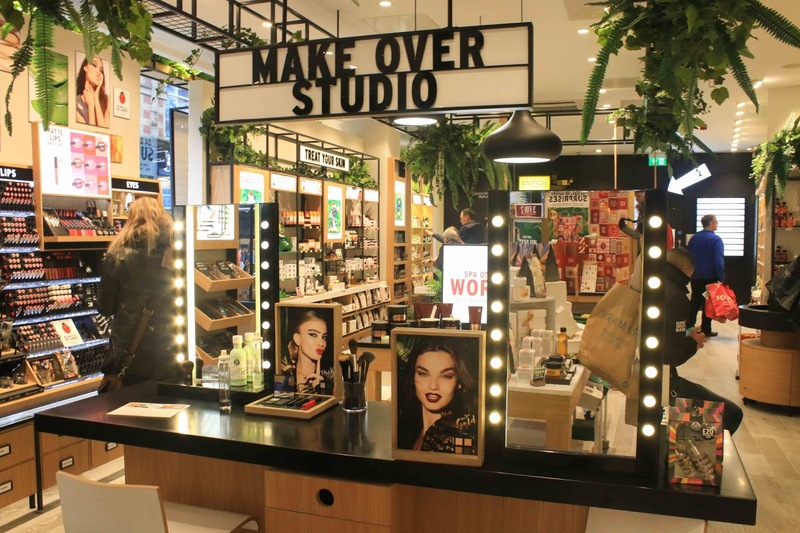 We had skincare consultations and make overs. 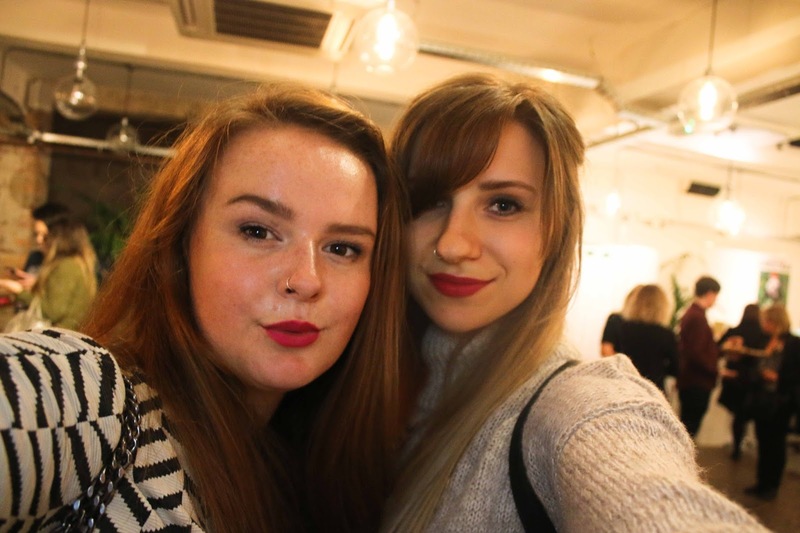 In the selfie with the lovely Lucinda I'm rocking a smokey eye and some matte liquid lipstick. 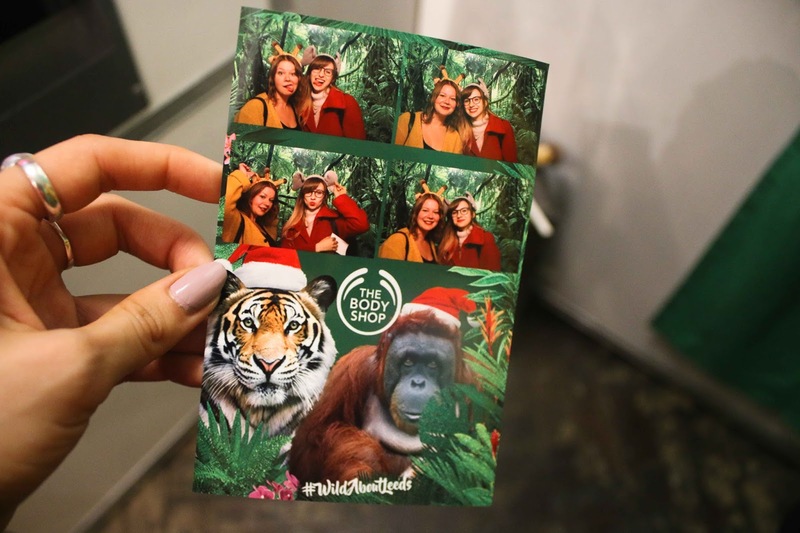 We got to see some of lovely Christmas gift sets available and there was even a photo booth which proved to be lots of fun, pictured below is me and Jennie. 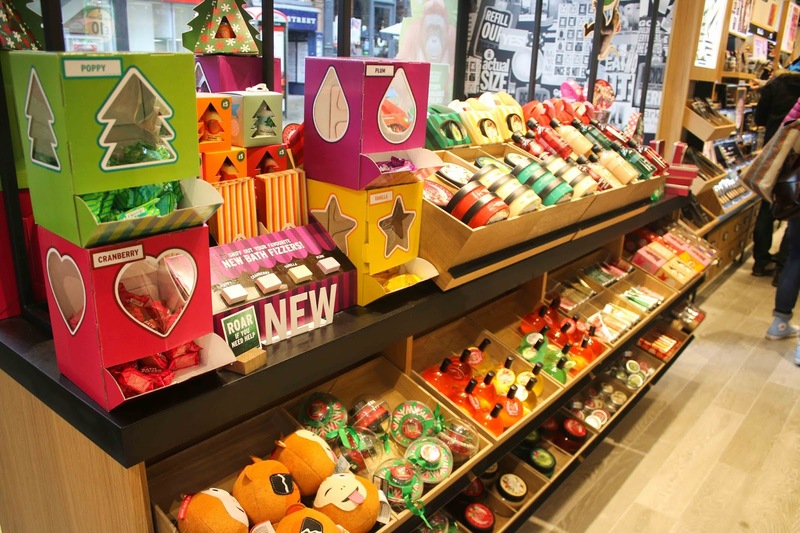 We also got informed that for every specially selected Christmas gift bought The Body Shop will restore 1 square metre of rainforest and protect that creatures that live there. This campaign has made me fall in love with the brand even further! 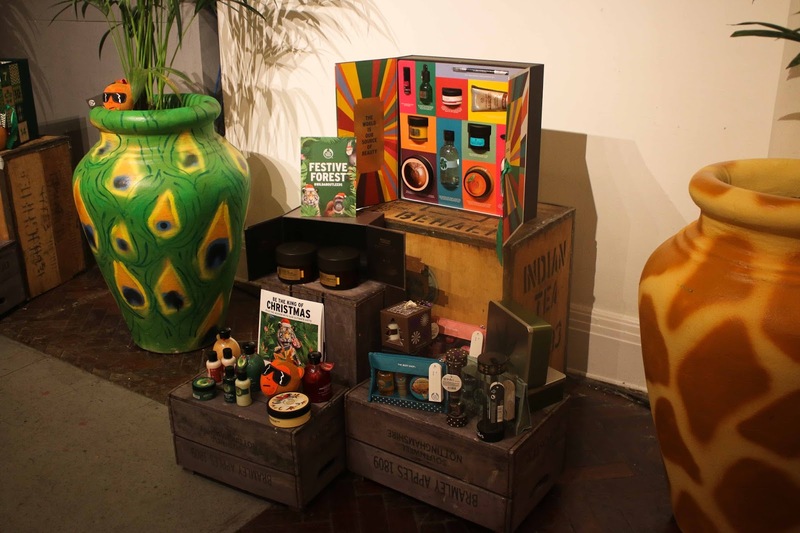 I decided to visit the Leeds store and it looks awesome! 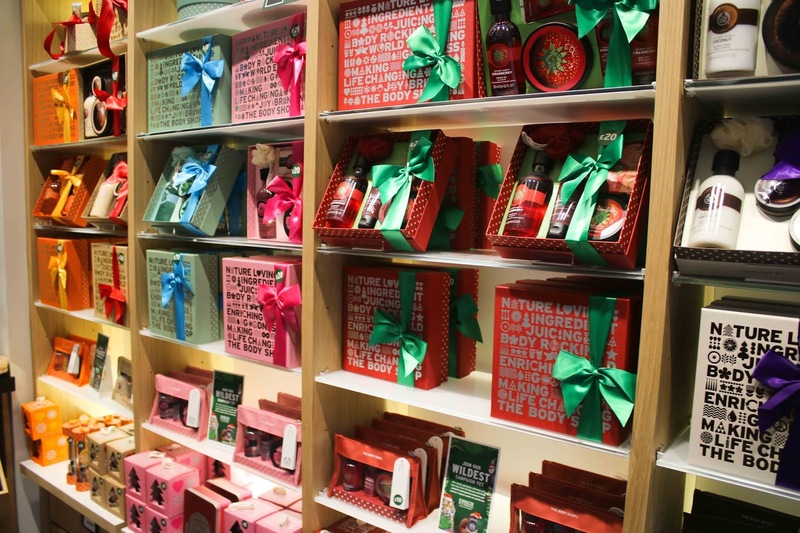 It's currently full of Christmas gift sets, vip treatment room and a body butter bar. For a limited time all of the body butters are currently £10 instead of £14 and you can create a custom label, which would make a lovely gift! 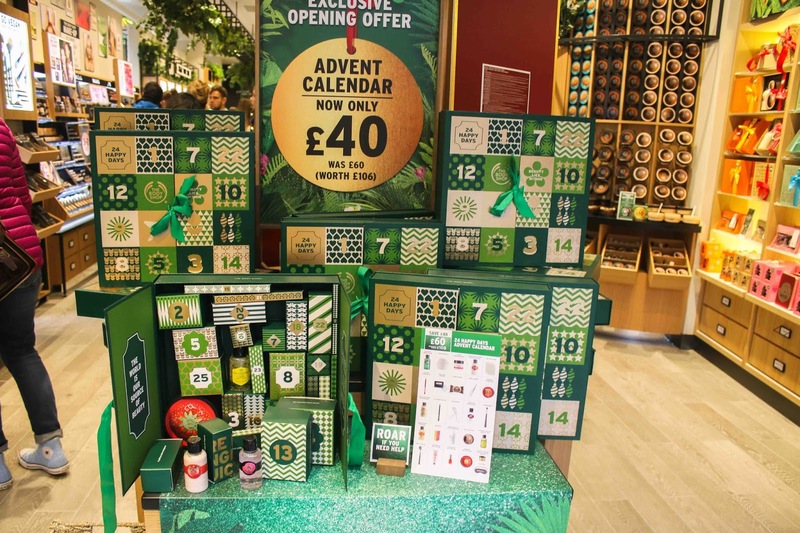 This advent calendar which is full of products worth over £100 is now available for just £40! Me and all the other blogger girls were gifted one of these at the event and I absolutely can't wait to open it in December.